.....I'm currently staying here in the construction site that we're managing. I'm actually stranded and couldn't afford to go home because of the typhoon. We have witnessed G.I. sheets that were flown by strong winds, overflowing floods on major roads that surround the vicinity and of course... traffic. Me and the others will stay here for a night due to the impracticality of going home. .....What's in my head right now is climate change and its effects. The whole city is suffering from flood and people are sick (that includes me) due to changing weather condition. I'm not that expert when it comes to climate change but what I do know is that I'm going to be part of the hundreds and thousands of bloggers that would write about climate change on our respective blogs on the same day. 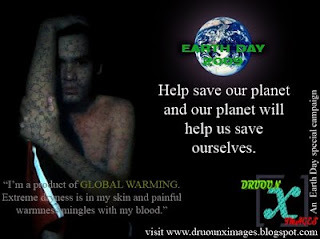 .....On October 15, 2009, bloggers around the world will be writing about climate change (the chosen topic for this year). 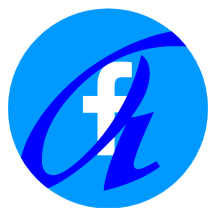 This blog has been participating Blog Action Day ever since it was created. My dedication for this kind of event is so deep because my primary aim is not just to become an active blogger but also to be known as a "Blogger of Change"! Join the Blog Action Day and make a difference! .....Good day everyone! It's nice to finally be back again here in my first and original blog. If you're wondering why I'm not around for a long long time... well, the answer is pretty much the same: Busy on my work and on my second blog, "Druoun X Images". Since I did mentioned my second blog, let me have this opportunity to talk about it and its current status. .....Druoun X Images is doing well in terms of traffic and everything. It was nominated on both Philippine Blog Awards and Nuffnang Asia-Pacific Blog Awards. The list of finalists were already posted and Druoun X Images isn't part of those finalists. It's not bad news if DXI didn't made it because I'm always positive on thinking that there is always a reason behind every happenings (good or bad). I'm in a way grateful that although my second blog is just months-old, the opportunity and potentiality of it can now be seen and felt. .....As for now, I'll just continue to do my craft because my primary target is to inspire people and to create an impact on their lives through Druoun X Images. 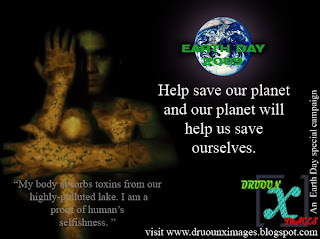 .....You may visit www.druounximages.blogspot.com and feel free to participate on my free services. Just read the guidelines on how to submit your photos. .....Be part of DXI's advocacy! .....It's good to be back here in my first and original blog. I'm quite busy with my work and I've got limited time to surf the net and blog about the things I love. If you are getting confused to the sentence that I've said about blogging when in fact I never had a chance to post on this site, actually I do manage two blog sites and I'm dedicating solely most of my free time in developing my second blog is entitled "Druoun X Images". .....By searching the Internet, I was able to discover this cool downloading site called Rapidshare. Rapidshare is so cool that it gave me a "wow" effect the first time I visited this site. It is actually a search engine that has the capability of downloading files faster than the ordinary and typically-made downloader. All net surfers and download addicts, like me, will definitely love this site and all its extra features. .....In conclusion, I certainly recommend Rapid4me - Rapidshare for it can definitely give its users and site-visitors the satisfaction that they really need. This is Matt and I'm signing out! Enjoy your Rapidshare downloading! .....Yesterday was an ordinary start of the weekend. That's what we may hear from others. But for me, it was totally different! Yesterday is a very special and awesome day for me because I have given a chance to participate in the first ever SSG Team-Building of both two branches of our school. The team-building was designed for the current ongoing and incoming SSG officers and it is done in a very special place called MMLDC in Antipolo. .....To tell you honestly, I wasn't supposed to be there because I'm not an incoming or an outgoing officer. Instead, I was last school year's SSG President. But destiny insists me to be part of that event. Ma'am Cathy actually called me last Friday night informing me that there's an available slot due to some reasons. That's a very late notice for me because of the gap between preparation and assembly proper. Well, of course, I've accepted her invitation. .....I started my special Saturday with a very sleepy status. Imagine waking up as early as 4:00 A.M. take a bath then rush to school trying to race against time and so conscious not to be late A.M. I did arrived safe and on-time. .....The very special thing about that event is that I have the chance of recharging my leadership skills and sharing it with the future student leaders of our school. I really have enough fun and have gathered enough learning for me to face the world. .....I ended that beautiful Saturday with a very sleepy and tiring mood. What's best is that I have used all my energy and took a lot of sacrifices such as a long hour of sleep yet, I'm fulfilled with what the outcome is and there's a very big possibility that I can influence and change other peoples lives more than I could ever imagine and I will continue to commit myself from those critical sacrifices as long as it is for the benefit of the people surrounding me. Anyway, I can't say no when leadership is calling me. .....If you're inspired by this post, you too can be part of the change that you want by becoming a leader. Search the web for people offering leadership trainings, be a member of any kind of foundations, and lastly, make a positive impact for the society. Have fun! .....Remember this edited picture of mine? Well, I'm actually using this picture as the background image of my laptop ever since. Most of the architecture students and professors like this photo and most of the time, it gets a lot of "wows" from the viewing public. .....Yesterday, my aunt, uncle and cousin saw this image and were all very horrified by what they've seen. They even asked me if I'm a devil or something. (laugh) Of course you'll ask me if I manage to defend my side and my answer is yes. I told them that it's part of the art and they immediately disagreed. .....Earlier this morning, my uncle confronted me about the issue and told me to change the background image because it gives him a sudden creepiness. (laugh) Well, if my real purpose is to scare people with that picture. Then I must say that I've succeeded. But to tell you the truth, I'm not. My primary purpose, really, is to make an art. I'm passionate about performing arts and all I could do right now is to express that passion through photo editing since I can't give part of my time in acting. .....This photo is just one of the edited pictures that I'm doing as part of my passion on stage drama. This photo entitled "Dark Invader" tells a story that one can be part of. You may actually feel that certain thrill that this picture wants you to feel. .....In addition, Dark Invader isn't the only picture that's classified as horrifying. 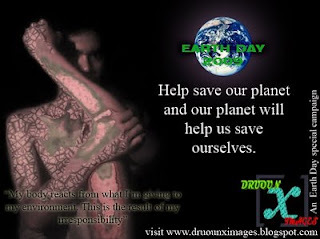 If you're interested in checking the other ones, you may visit my other blog at http://www.druounximages.blogspot.com/. 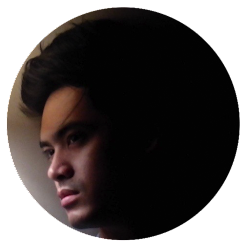 Feel free to be part of my blog's advocacy by submitting some scenic-customized photos. Just read DXI's guidelines if you really want to participate. Thanks for reading! .....Yesterday seems to be another fruitful day for me because my thesis rating got even higher right after I've submitted all of the recommendations that was given to me by my panel of jury. 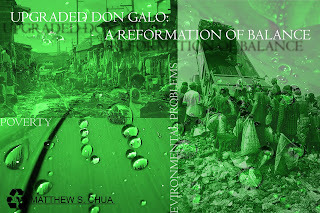 On my previous post, I wrote about how my thesis went during my deliberation and you may verify it later if you want. .....The other thing that made my day great was when our Department Chair asked me if who will be the next Architecture Department Student Government (Ar-DSG) President. He then told his visitors about how I do well as a president of our department. He even said that although the next president can definitely do his job well but still, I'm different. Way too different from all the past presidents that our department has. "Matthew is still different and I'm worried for the next semester because he and Arch. Canare is not around", he quipped. .....The previous conversation may sound too overwhelming for me but then I want to treat it as a complement for getting the job done and for unleashing the passion that wants to get out from me. I'm hoping that the next president will do more than I did and ones he does that, he will definitely be better than I do. I'm not worried if that will happen because as his predecessor, I should be prouder if he's better than I am. .....You see, being a leader, we must have that kind of attitude. We must not be bothered if our successor will soar higher than us. Instead, we should be prouder because our successor's success is just a fact that we are successful when it comes to mentoring and passing our leadership skills to others.